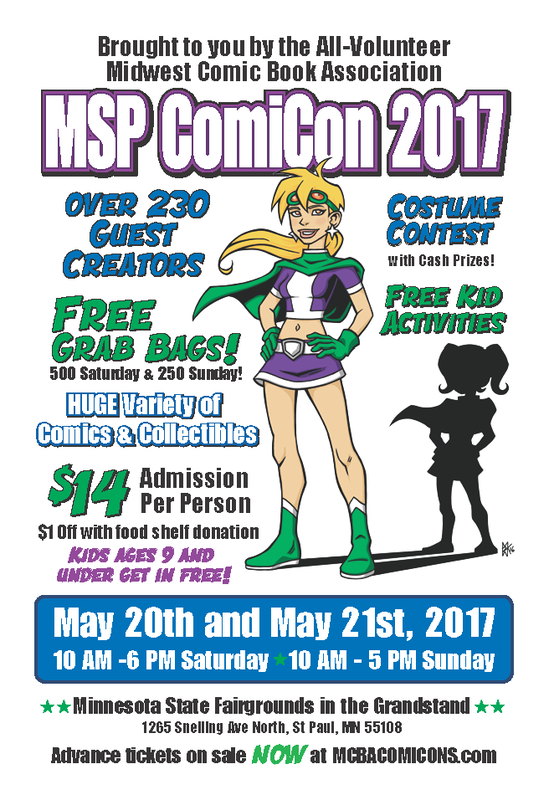 Whether you're new to comics or an hold hat at this sort of thing, MSP ComicCon is THE event you of the spring. 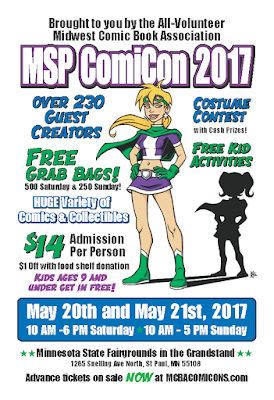 Hence, it's former nickname "SpringCon," it's grown to be the largest, independent comic book convention in Minnesota, held at the Grandstand at the Minnesota State Fair every mid-May to kick off the summer. Most importantly, it's the BEST place to meet comic book artists and writers, discover new titles, and see a TON of cool stuff. Parents looking for something to take the kids to in May, this is a fun, family-friendly atmosphere with all of your kids' favorite heroes--some of them walking around in costume too! And if you're a die-hard comic book fan, there's dozens of vendors who've brought along their huge back stock older issues to help you complete your collection. We usually stock up on TONS of great comics for the year there. Seriously, it's a bargain hunter's paradise. It's great big fun you don't want to miss! 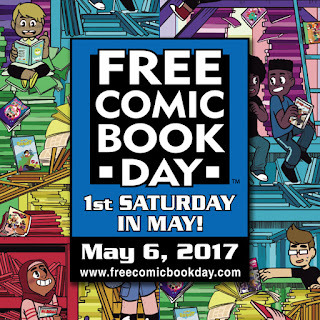 Once again, we'll have lots of free comics available for wide variety of ages! Come by to pick out some cool titles and say hello! 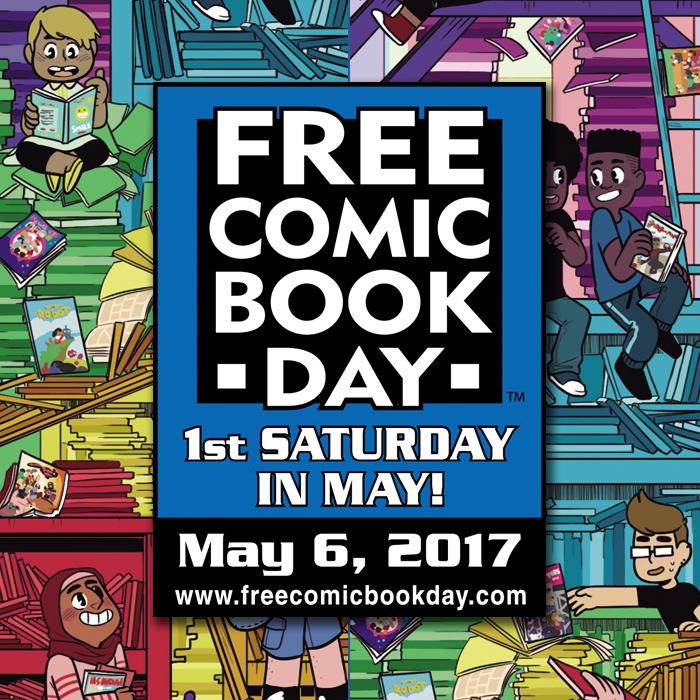 Learn more about Free Comic Book Day 2017! New fiction in the library! All unique and compelling in their own way. A Reunion of Ghosts is a thoughtful story about reckoning with your family history and understanding life as your own. 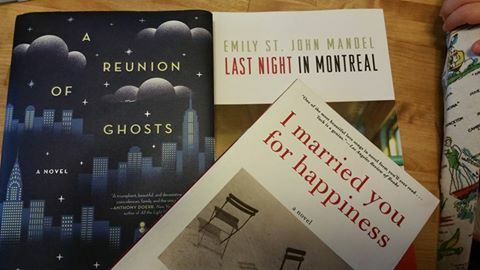 Last Night in Montreal is a noir-ish thriller told in a riveting, non-linear manner. I Married You for Happiness is the story of a woman reflecting on her marriage as she lays next to her recently deceased husband. It covers the ups and downs of a long, beautiful journey. The Most Super-heroic, Little Free Library on Earth! 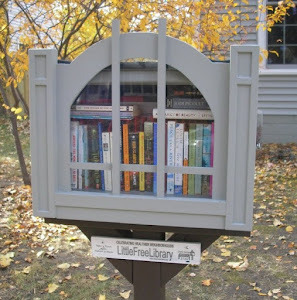 Are you another Little Free Library? Looking to connect? Drop us a line at our email! Books, comics, and other media placed in the Library of Justice come from many sources. While we curate a majority of the books, many others are placed by neighbors and visitors. For this reason, it's impossible for us to review everything that passes through the library. The Library of Justice stamp only signifies it has been added to the collection and does not represent an endorsement of any kind. As always, the best way to determine if a book or comic is right for you or a child is to examine it yourself. Good reading! Library of Justice is copyrighted, 2012. Awesome Inc. theme. Powered by Blogger.